The 2013 Kentucky Building Code (KBC) applies to all commercial and multifamily buildings not covered by the Kentucky Residential Code. While still based on the 2012 IBC, the KBC has been revised for its 2nd edition to reference the 2012 IECC as the energy code for the nonresidential buildings covered by the KBC. 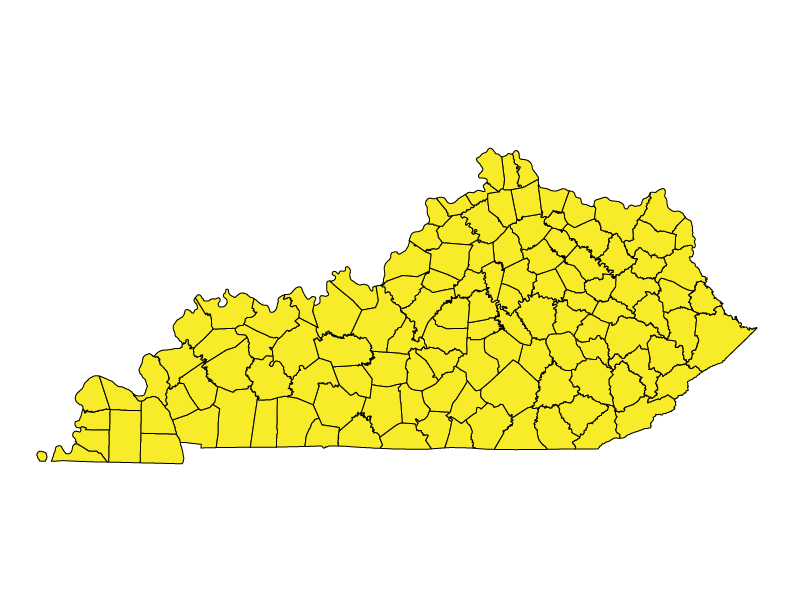 The KBC is a “mini/maxi” code, meaning that it is a statewide uniform mandatory building code and no local government shall adopt or enforce any other building code; except that the Kentucky Residential Code shall govern detached single family dwellings, two-family dwellings and townhouses. Chapter 11 has been amended so that demonstrating compliance with the 2009 IECC is the sole compliance path. The KRC is a “mini/maxi” code, in that it establishes minimum and maximum building code requirements for detached single family dwellings, two-family dwellings and townhouses and no local government shall adopt or enforce any other building code on these units. The Department of Housing, Buildings, and Construction conducts plan review, inspects and enforces the energy code (and conducts HVAC inspections/certifications) for all commercial and multi-family residential dwellings. Compliance for detached single family dwellings, two-family dwellings and townhouses under the purview of the residential code is left to the discretion of local jurisdictions. Changes to building codes by the state of Kentucky are submitted to the Board of Housing for review by the Office of Housing, Buildings, and Construction Division of Building Codes Enforcement. The changes are approved in this forum and are forwarded to the Legislative Research Committee for public comment and further review. During the three-year cycle, proposed changes to the KBC may be submitted for consideration and voted upon by the board. The Division of Building Codes and Enforcement is responsible for complying with code changes and amendments. Once changes and amendments are adopted and entered as part of the state requirements, they become state law by state statute. The Kentucky Residential Code may be amended from time to time by the Board of Housing, Buildings and Construction through the regulatory process by considering proposals from code enforcement officials, industry and design professionals, and other interested persons and organizations. Changes are discussed in an open meeting of the board. Changes approved by the board and the Legislative Review Commission are printed in the Kentucky Administrative Register and posted on the OHBC website. Generally a three-year code review/update cycle. The 2013 Kentucky Building Code (KBC), based on the 2012 IBC with references to the 2012 IECC, becomes effective for nonresidential buildings. The Kentucky Building Code establishes minimum standards for all commercial and multifamily residential buildings and is mandatory statewide. The code ensures the public safety, health and welfare insofar as they are affected by building construction and to secure safety to life and property from all hazards incident to the occupancy of buildings, structures or premises. The KBC is a min/max code, meaning that it is a statewide uniform mandatory building code and no local government shall adopt or enforce any other building code; except that the Kentucky Residential Code shall govern detached single family dwellings, two-family dwellings and townhouses. RESNET signs a Memorandum of Understanding (MOU) with the Homebuilders Association of Lexington. The MOU states that the Kentucky builder association commits all of their builder members to have all of their homes energy rated and market their homes’ HERS Index Score. The Kentucky homebuilder association commits to having all homes individually inspected and tested. The Board of the Department of Housing, Buildings and Construction approves a proposal to update the 2007 Kentucky Residential Code (KRC), whose 2nd edition is currently based on the 2006 IRC, to reference the 2009 IECC. The proposal includes one weakening amendment: basement insulation will only be required from the top of the wall to below the frost line. Updated editions of the Kentucky Building Code (KBC) and Kentucky Residential Code (KRC) become effective. The 2007 KBC, based on the 2006 IBC, is revised for its 9th edition to reference the 2009 IECC as the energy code for the nonresidential buildings covered by the KBC. Chapter 11 covers energy efficiency, and it has been amended such that demonstrating compliance with the 2009 IECC is the sole compliance path for the buildings covered by the KRC. Mandatory compliance with these new codes begins on June 1, 2011. Governor Beshear signs HB 240 into law, establishing a High-Performance Buildings Advisory Committee to develop advanced standards for public buildings. The bill requires all new and renovated buildings for which the state government pays more than 50 percent of the total capital costs be designed and constructed to meet the new high-performance standards developed by the Committee. All building leases entered into by the Commonwealth or any of its agencies on and after July 1, 2018 shall also meet the new standards. Governor Beshear creates the Kentucky Energy and Environment Cabinet which created the Kentucky Climate Action Plan Council (KCAPC) in December 2009. Through five working groups, KCAPC created an action plan to address climate change. The Center for Climate Strategies assisted KCAPC in their efforts. The 2007 KRC (based on the 2006 IRC with amendments) becomes effective, but there is a 90-day grace period during which the previous edition of the code can still be used to show compliance. The 2007 KBC becomes effective. As with the KBC, there is a 90-day grace period during which the previous edition of the code can still be used to show compliance. This code is based on the 2006 IBC with state amendments, none of which affect the energy efficiency chapter. It establishes minimum and maximum building code requirements for all commercial and multifamily residential buildings and is mandatory statewide. The residential energy code is the 2000 IRC, while the commercial provisions references the 2003 IBC. The KBC becomes a minimum statewide requirement for all buildings over three stories in height; in excess of 20,000 sq. feet. and intended for assembly, educational, institutional, or high hazard occupancy; or business or industrial structures with an excess of 100 occupants. In steps, the KBC becomes effective for all buildings, and by August 15, 1982, the code applies throughout the entire state of Kentucky. The 1994 and 1997 KBC reference the 1992 MEC.